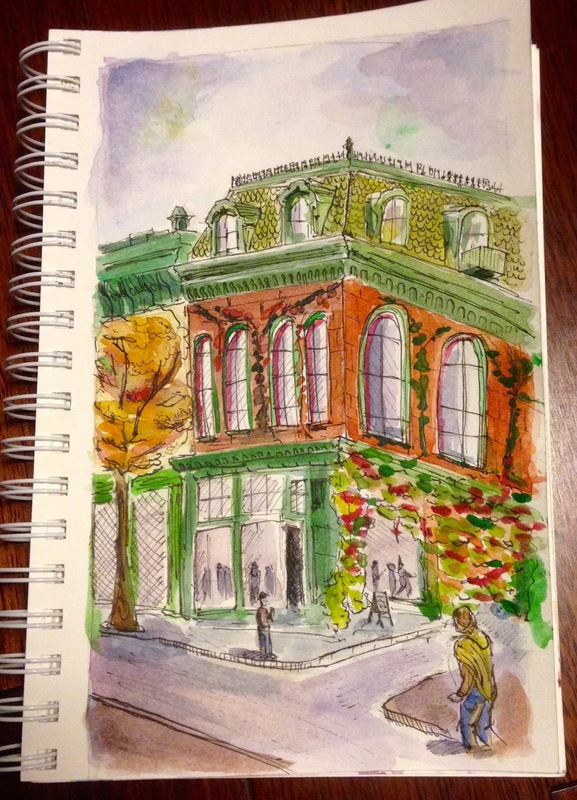 New York City Urban Sketchers: Sorry I missed you all! I had brought my family along and we lost track of time while having dinner. Glad to have had time to sketch in ivy covered building that caught my eye. I totally missed out on the group picture too. There is always next year!